The page for the Shinkendo Dojo in Amsterdam. An interesting collection of forums relating to Martial Arts and Sword Arts. Equipment, Supplies, Books , Vidios Ect. provide both strength and elegance. Top quality Samurai related martial arts goods. The Arizona Budokan is a unique martial arts school. We offer classes taught by highly qualified Black Belt Instructors in several different martial arts all under one roof. Arizona Budokan students can study any single or combination of arts selected. The page I had here link died, which is not a good thing. But it did inspire me to go on search for another page on Musashi. Here is result of this search. Naginata is a Japanese martial art form for men, women, and children. 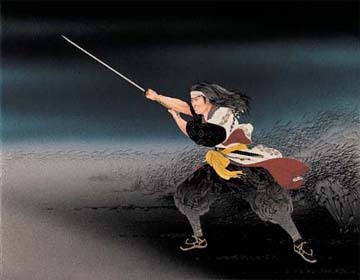 The Naginata originated over 1,000 years ago. It was a powerful weapon against horsemen and foot soldiers alike. 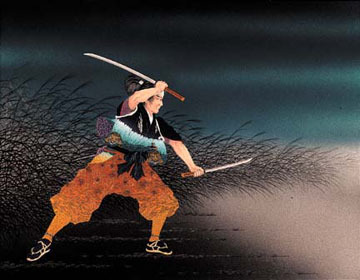 The Naginata's length and weight made it an efficient weapon against the sword, and its circular execution made it one of the most graceful and fluid of classical Japanese combat systems. Naginata today is an art form that teaches etiquette, respect, patience, self-confidence, and self-control. The practice of Naginata nurtures stamina, beauty and grace of movement, and the building of character through discipline and concentration. Moreover, it prepares individuals to deal with the rigors of life, and in establishing a moral code based on chivalry and honor. Celestial Bonsai has been selling the finest trees, tools, and supplies since 1991. Our bonsai master was trained in China and has more than 20 years of experience in the art of bonsai. [Christmas] Celestial Bonsai is a certified bonsai nursery of Maryland. Whether you are new to bonsai or an experienced hobbyist, we have the best quality trees and supplies. We ship our bonsai across the United States, and guarantee that your bonsai will arrive in good health. Celestial Bonsai also maintains a wholesale division and can meet the needs of commercial customers. We import many of our trees and pots directly from our sources in China. Please browse our large selection of trees, fountains, tools and accessories on-line.